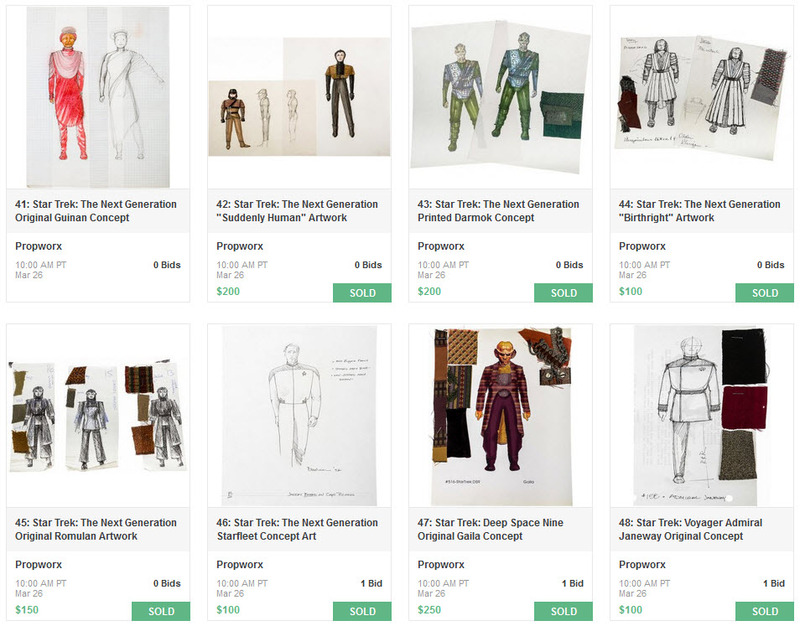 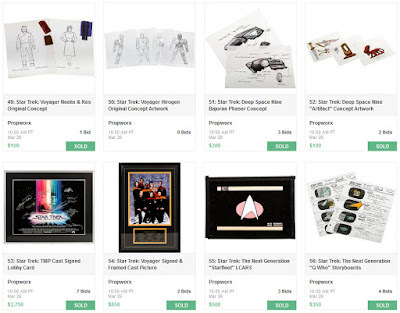 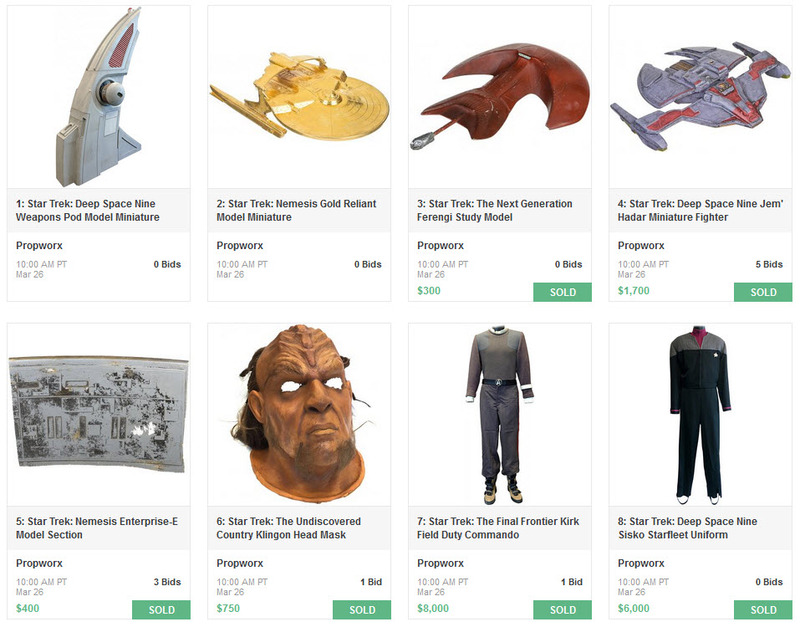 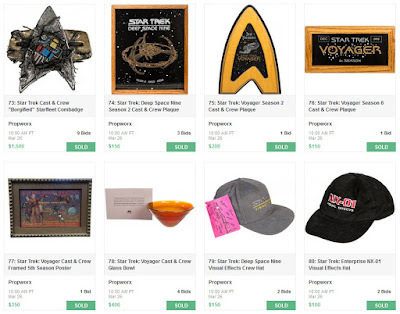 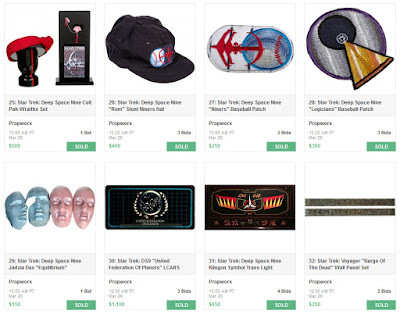 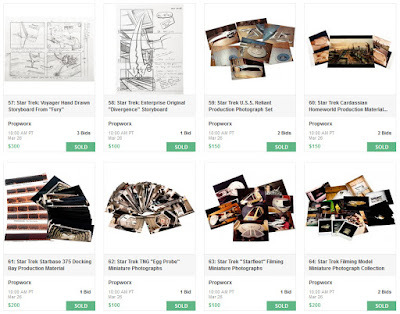 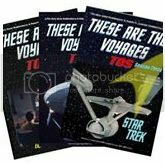 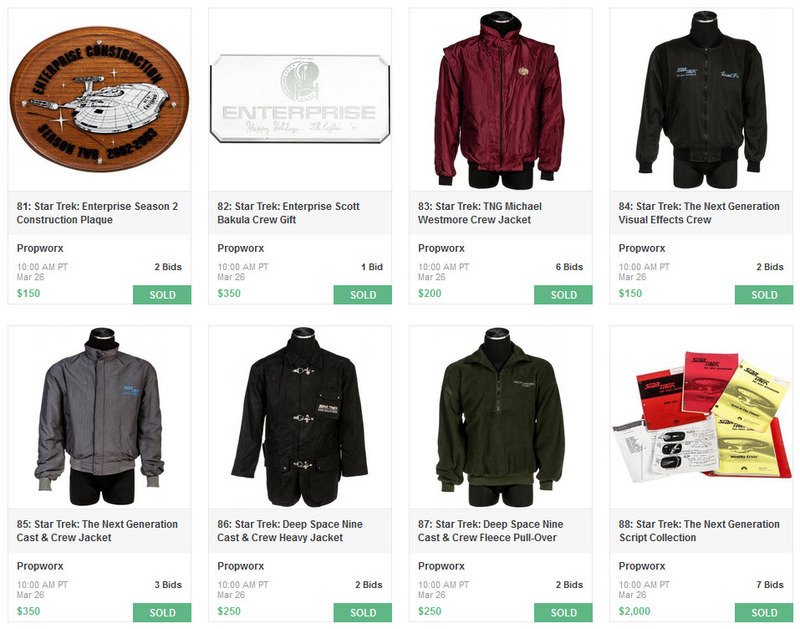 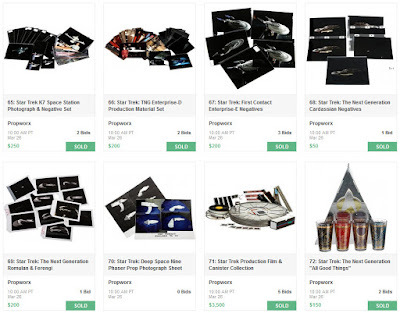 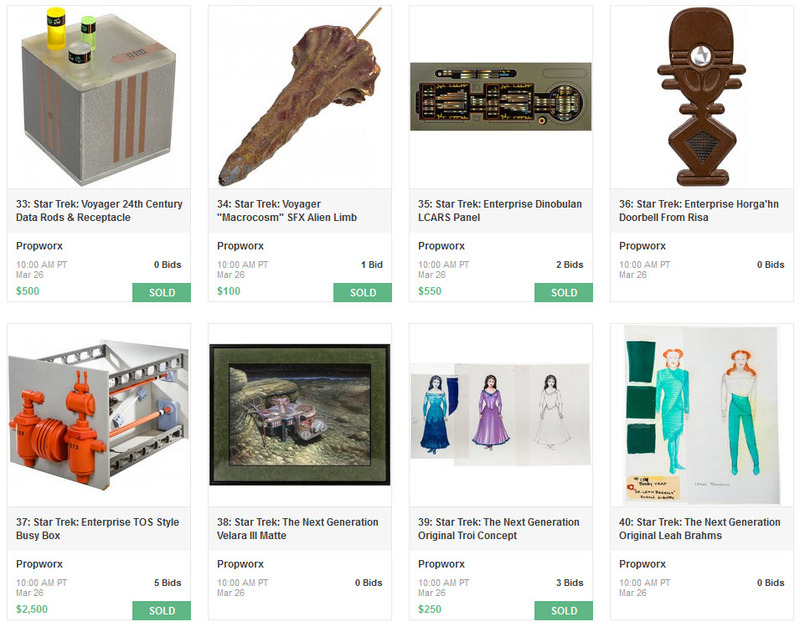 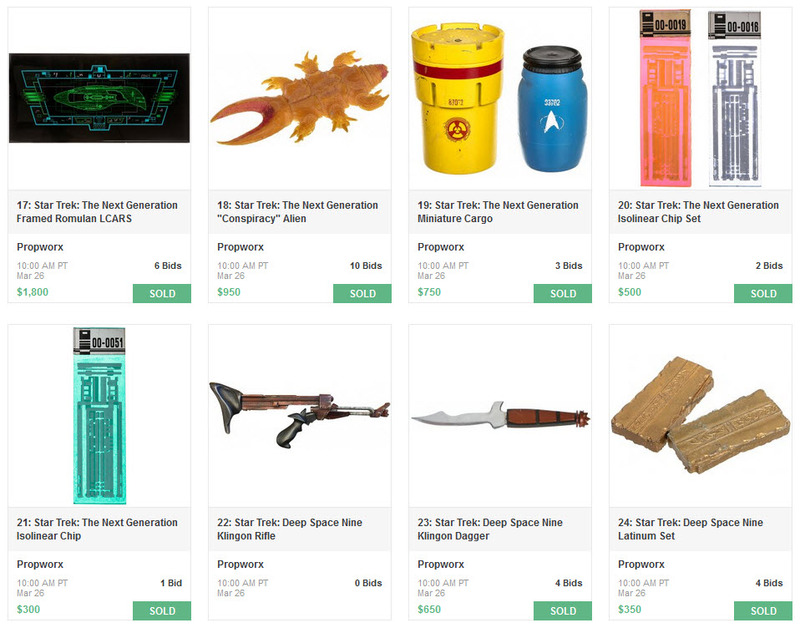 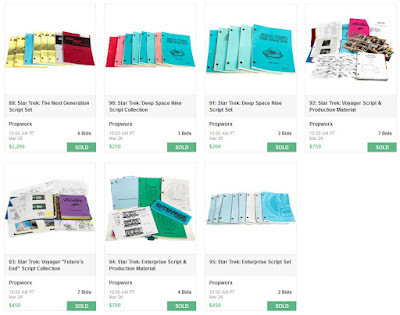 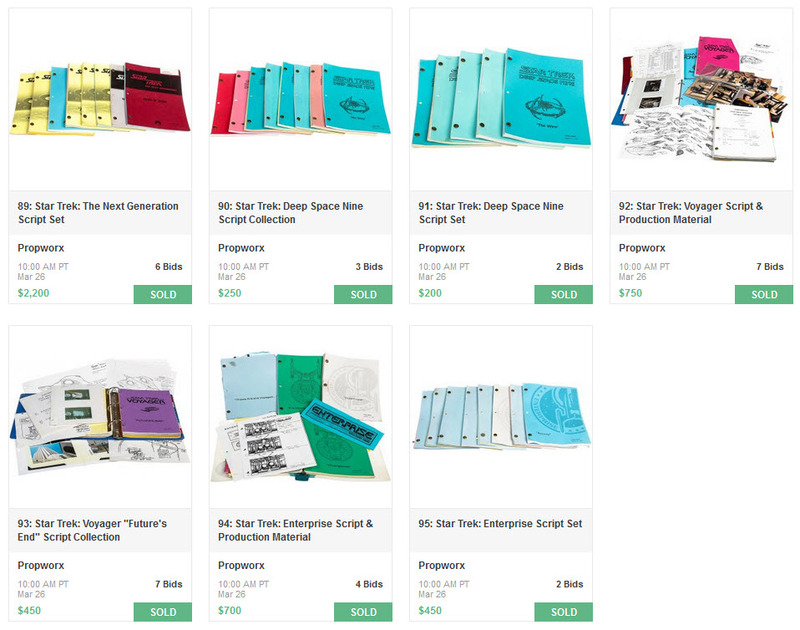 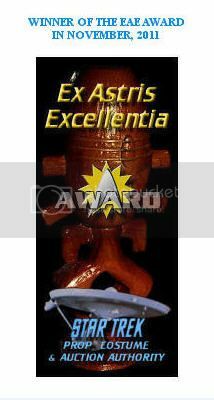 Presented below is the complete set of final prices realized for the 95 lots of Star Trek memorabilia that were offered in the Propworx Star Trek Auction VII event; which concluded earlier today in a live online bidding session hosted through LiveAuctioneers.com. The highest price realized in the auction was associated with a William Shatner screen worn Starfleet Commando style Field Duty uniform from the film Star Trek V: The Final Frontier (1989) - which sold for $9,840 (including a 23% buyers premium). 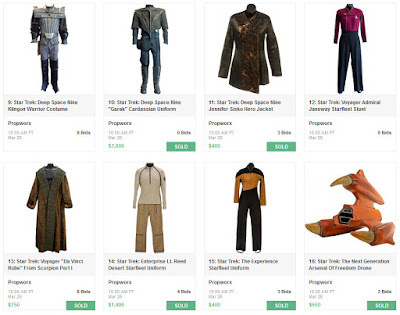 A rare Star Trek: Deep Space Nine Cardassian military uniform worn by Andrew Robinson as Garak witnessed a final value of $8,610 with premium; and a Star Trek: DS9 Captain Benjamin Sisko Starfleet uniform worn by Avery Brooks went for $7,380 with premium.